Co-occurring Disorders Assessment & Treatment How Are Mental Illnesses Diagnosed? The Diagnostic and Statistical Manual of Mental Disorders (DSM), currently in its 5th edition, provides a complete list of medically recognized mental disorders. The 5th edition, published in May 2013, provides significant updates to the DSM, which had last been updated in 1994. For diagnostic purposes, each listed mental illness has a mild to severe range that is determined by the number of relevant diagnostic criteria present. As PBS News Hour explains, the DSM is encyclopedia-like, but clinicians are careful to point out that it cannot be interpreted woodenly. The DSM is a reference guide that must be used in conjunction with sound medical judgment. Laypersons are welcome to peruse the book, but with the caveat that the book is part of a dynamic diagnostic process. Mental illnesses can be diagnosed in various clinical settings, by different professionals, under a host of circumstances. Family doctors, psychiatrists, psychologists, social workers, and addiction specialists are some of the professionals who may be involved in the steps leading to a diagnosis of a mental illness. As clinical research continues to develop, the category of recognized mental illnesses increasingly expands. As WebMD discusses, some individuals may begin their path to a mental illness disorder in a family doctor’s office. Oftentimes, individuals will seek generalists, such as a family or internal medicine physician, to discuss worrying symptoms they are experiencing. A competent family physician will provide a full intake of the patient’s symptoms and medical history. It is important to note that there are no laboratory tests that can conclusively detect a mental health disorder. A family medicine doctor may perform a physical exam so as to exclude any physical possibilities. Sometimes non-psychiatric disorders can share symptoms with psychiatric disorders. To ensure accuracy, a physical exam and a blood workup are part of the doctor’s due diligence. When an attending family physician concludes that the cause of the patient’s symptoms may be psychiatric in the nature, the next step will be to refer the patient to a specialist, such as a board-certified psychiatrist or psychologist. The supervising psychiatrist or psychologist will conduct an independent interview of the patient. Psychiatrists and psychologists possess assessment tools to help evaluate the patient for mental health disorders. Such assessment tools include talk therapy, which gives the clinician an opportunity to listen to and learn from the patient’s attitudes and behaviors. When a specialist, such as a psychiatrist, determines that a mental health disorder may be present, at that point, he or she will likely consult the DSM-5 to pinpoint the exact disorder(s). Once a clinician decides on the diagnosis, if any, the patient will be presented with the diagnosis and treatment options. Clinician reliance on the DSM-5 has its opponents, but it is important to understand that insurance companies usually will not cover treatment for a diagnosis that is not included in the DSM-5. Each mental illness diagnosis will have its own associated treatment protocols. However, many disorders are treated with pharmacological therapy (i.e., medication) and psychotherapy. The dual therapy approach stems from the fact that mental illness is understood to have both neurological and social components. The nature versus nurture debate is well embedded in any discussion about mental health. But wherever an expert’s opinion falls, there is a general consensus that nature and nurture work in tandem in the development of mental illnesses. For this reason, medication and therapy are the main treatment protocols. As the National Alliance on Mental Illness (NAMI) explains, co-occurring disorders occur when a person is diagnosed with a substance use disorder and one or more mental disorders at the same time. It’s a broad category that combines all different types of drugs of abuse, abuse profiles, and mental health disorders. Either the substance abuse or the mental illness may occur first. There is much scholarship and clinician opinion about which comes first, but one thing is clear: both the substance use disorder and mental health disorder must be treated simultaneously. Treatment of the substance use disorder alone runs a high risk of the mental health disorder worsening, which can trigger a relapse after detoxification. There is a general consensus that treatment of the mental health disorder alone is insufficient to end substance abuse long-term, in part because the two disorders each have different treatment protocols. Co-occurring disorders do not mean an individual does double the work, but they will be treated along two paths – each dedicated to healing the disorder and improving the health of the patient overall. As NAMI points out, approximately 33 percent of all individuals with mental illness, and about 50 percent of those with severe mental disorders, also experience substance abuse. Addiction specialists understand this reality. When a substance abuser enters rehab, the attending addiction counselor will conduct a comprehensive intake to learn about the individual’s drug history and medical history. A person who enters drug rehab may not have an existing mental health disorder diagnosis. However, a thorough intake process will reveal if there is a possibility of mental illness. When an addiction counselor suspects that a mental health disorder may be present, the counselor will likely confer with a staff psychiatrist (if it is a co-occurring disorders rehab center) and coordinate accordingly. 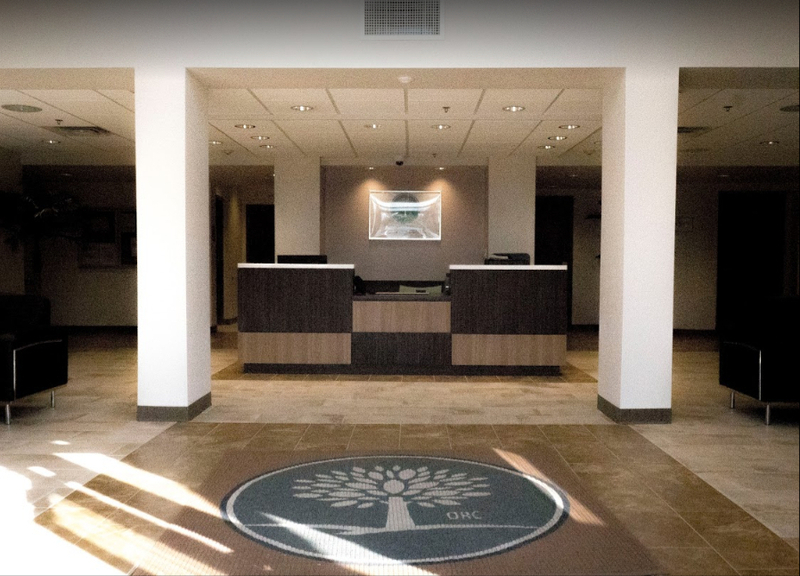 There is a general consensus in the addiction treatment community that persons with co-occurring disorders seek treatment at a qualified dual-diagnosis treatment center. Where enrolling in such care is not possible, at a minimum, the drug rehab center should help the recovering person to coordinate psychiatric services with a local doctor or clinic. Diagnosis of mental health disorders is a process requiring great skill and clinical knowledge. A heightened standard of care is necessary because applying the wrong treatment can be unhelpful at best and dangerous at worst. For instance, it can be difficult to detect, but some symptoms of mental health disorders are caused by the substance abuse itself. In other words, these symptoms would not exist but for the drug abuse. SAMHSA advises clinicians that numerous factors must be included in in the initial diagnostic and treatment recommendation. For example, an individual who is treated at a psychiatric hospital for two to three days for a substance-induced mental health disorder should be released with the recommendation to enter drug rehab rather than a mental health clinic. However, a person who has persistent mental health symptoms may be more accurately diagnosed with a mental health disorder, which is a primary illness, not a drug use-contingent one. Such an individual would best be treated at a mental health clinic, or in the case of co-occurring drug abuse, at a rehab center that treats co-occurring disorders. Mayo Clinic provides helpful information about the main categories of mental health disorders, which are, of course, included in the DSM-5. Note that these particular disorders are separate from the substance-induced disorders discussed above. Bipolar disorders: The main feature is mood alternating between states of mania and depression. Type and severity within type are determined by factors such as number of episodes within a set timeframe, like 12 months. Psychotic disorders: A common element is a detachment from reality through paranoia, delusions, and audio, visual, and/or tactile hallucinations. This class includes schizophrenia. Personality disorders: These disorders feature a history of emotional instability and reckless behavior that gives rise to problematic life issues and relationships. Borderline personality disorder is an example. Anxiety disorders: These involve emotional states characterized by unhealthy preoccupation with future problems with an accompanying feeling of dis-ease. Generalized anxiety disorder, panic disorders, and various phobias are included in this category. Feeding and eating disorders: These occur when disordered thinking about body image and other perceptions disturb necessary activities like eating, exercising, and socializing. These disorders include anorexia nervosa and bulimia. During treatment for co-occurring disorders, all diagnosed mental health disorders need to be treated in accordance with the specific treatment protocols for that illness. An individual may experience any one of the above disorders, or others, in isolation or in combination with other ones. An expert mental health clinician will spend the necessary time to develop an accurate diagnosis in order to provide a tailored treatment plan. The diagnostic process should ideally be refined enough to detect the nuances of symptoms. For instance, depression within bipolar disorder may require a different treatment protocol from standalone depressive disorder. At present, mental health diagnosis is more of an art than an exact science. The process relies heavily on the clinician’s expertise and the patient’s ability to accurately describe her symptoms. As Scientific American explains, quantitative tools such as brain imaging scans may be able to diagnose patients with a single illness that is very articulated, but not in more ambiguous cases. The brain has long presented scientists and clinicians with a black box, although ongoing research in this field is opening a window into the brain and in turn helping the diagnostics process. 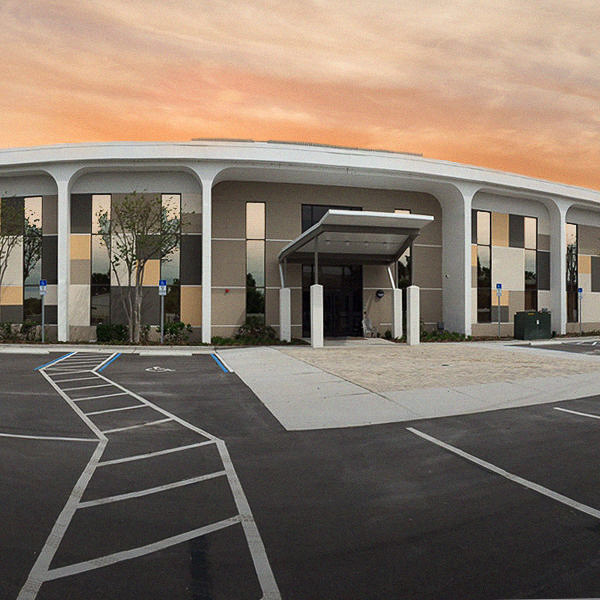 Orlando Recovery Center offers incoming clients a comprehensive intake process. The cutting-edge interview process ensures that the addiction treatment team will have the necessary knowledge to create a plan tailored to the client’s specific needs. Where co-occurring disorders are present, clients are guaranteed to receive scientifically backed treatment for all existing disorders.